A dairy barn on a farm about five kilometres east of Millet, Alta. burned to the ground overnight Thursday. The cattle were safely removed from the burning building. A dairy barn on a farm about five kilometres east of Millet, Alta. burned to the ground Wednesday night. "From about a mile away you could actually see the glow, the orange glow, in the sky which usually is an indicator that it's through the roof," said Capt. Trevor Palmer, public information officer with the Millet Volunteer Fire Department. The call came in at 10:45 p.m. Wednesday. The fire was declared out around 5 a.m. the following morning, Palmer told CBC Thursday. "It was very clear when we got there that the building or at least a very large portion of the building was going to be a loss," Palmer said. "There's nothing left of it." 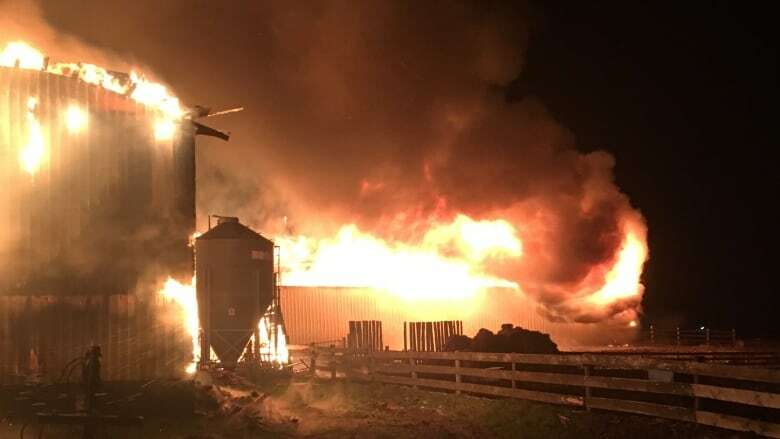 Firefighters and the landowners were able to remove a large herd of cows from the barn just in time, Palmer said. "Luckily one of the residents happened to look out a window and noticed that there was a fire," Palmer said. "If it had been a couple of hours later I think this could have been a completely different outcome because I doubt that there would have been time to get the cattle out." At its peak, there were more than 40 firefighters working on scene, Palmer said. Additional crews and equipment were brought in from Wetaskiwin and Leduc County. 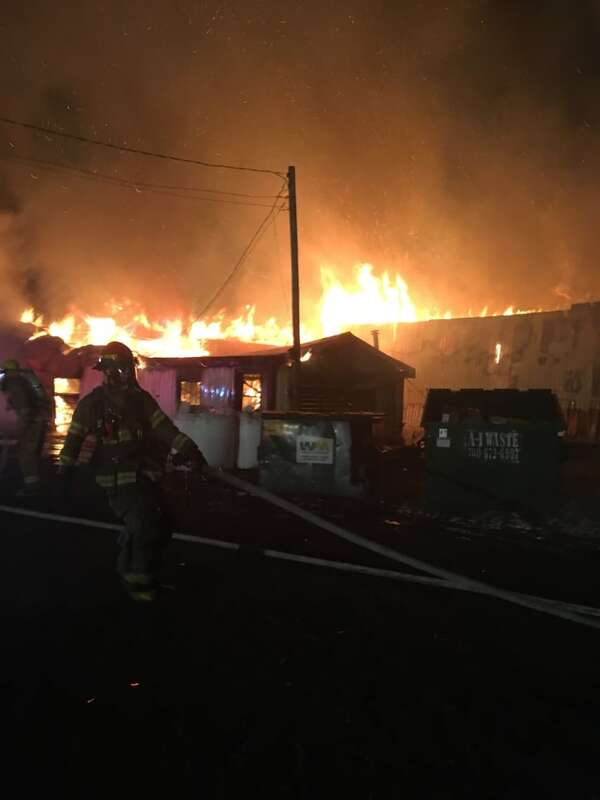 An operator with Diamond Bobcat Service from Millet arrived around 1 a.m. and used a track hoe to help move debris so firefighters could extinguish hot spots. The rural firefighters involved on scene are all volunteers "from the chief on down," Palmer said. "There's some tired folks headed off to work this morning," Palmer said. "Thankfully we have some pretty good employers that understand that there's a bigger need." Millet is about 54 kilometres south of Edmonton.